Such was the (possibly apocryphal) advertisement with which Ernest Shackleton was said to have recruited team members for his unsuccessful Antarctic trip, which began in 1907 and ended in 1909 as encroaching sea ice forced an early departure. Shackleton’s expedition ran short of supplies on their long trek to the South Pole from Cape Royds in 1907-1909 and they eventually fell about 100 miles (160 kilometres) short of their goal. The men evacuated hurriedly from Cape Royds in 1909 as winter ice began forming in the sea. Thankfully, Shackleton turned back in time to keep all of his party safe, famously later remarking that “A live donkey is better than a dead lion” to explain his hasty retreat. 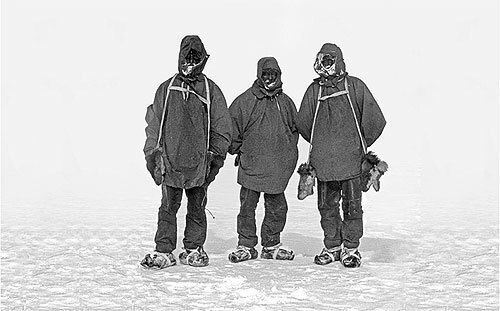 In the rush to escape the treacherous conditions, Shackleton and his men abandoned their hut, leaving behind many of their clothes & possessions – as well as certain supplies deemed unnecessary for the return journey. 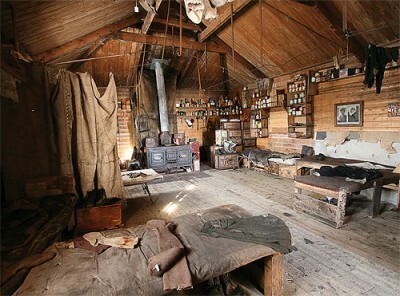 Fast forward a century or so, and in January 2006 The New Zealand Antarctic Heritage Trust found several cases of spirits lodged in the ice under Shackleton’s hut. After further investigation, three of the cases were found to contain Chas Mackinlay & Co’s whisky, with the remaining two housing an Australian brandy made in Hunter Valley. 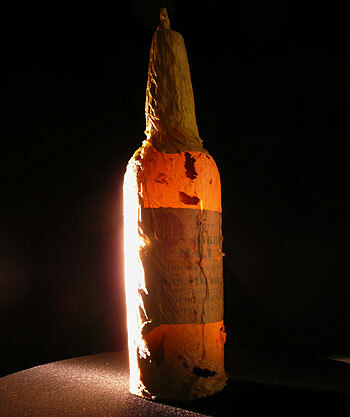 Over the course of 2010 the cases were painstakingly extracted from beneath the hut and one of the whisky cases was carefully thawed by a team of specialists at the Canterbury Museum in Christchurch, New Zealand. 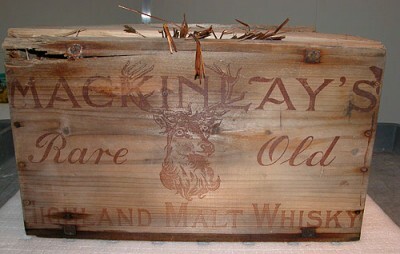 The historic Mackinlay’s Rare Old Highland Malt brand is now owned by Whyte & Mackay, who acquired it as part of Invergordon Distillers in 1995. Unfortunately, Mackinlay’s fortunes declined rapidly under W&M’s stewardship and the brand has been discontinued in most markets for several years. = (Shackleton’s Whisky Supplied by Whyte & Mackay). This has certainly proved to be the case. The story of Shackleton’s whisky has swept the world, and Whyte & Mackay, (who aren’t exactly shy & retiring in normal circumstances) have been basking in the warm glow of free publicity, to which this humble blog now adds its tuppenceworth. Thankfully, no-one except the Guardian has been rude enough to ask why Mackinlay’s Rare Old Highland Malt was discontinued in the first place. Richard Paterson, master blender at Whyte and Mackay, described the find as “a gift from the heavens” for whisky lovers, and has analysed the whisky after extracting small samples from the bottles with a syringe. The bottles have since been returned to New Zealand to be restored to their resting place in the ice underneath Shackleton’s hut, while Whyte & Mackay have rushed out a tribute bottling of Mackinlay’s – in a strictly limited edition of 50,000 bottles. 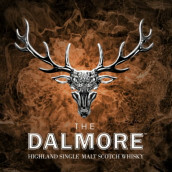 W&M’s remarkably swift recreation of Mackinlay’s has come to market just two months after the samples were brought to Scotland and is a blend of various malt whiskies including W&M flagship The Dalmore (naturally) and Glen Mhor, the original base malt for Mackinlay’s. 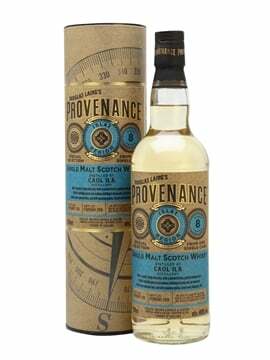 The replica has been bottled at the same strength as the sample of recovered whisky (47.3%), and the age of the malts used in the vatting is given as between eight and thirty years old (that’ll be the Glen Mhor, which closed in 1983). Stock of this replica treasure is expected imminently (RRP £100) and is expected to fly off the shelves. It has not yet been revealed whether the new Mackinlay’s contains any caramel colouring, but at 47.3% it is unlikely to have been chill-filtered. 5% of the proceeeds of each sale are to be donated to the Antactic Heritage Trust, who supervised the excavation of the bottle. This is expected to total £250,000 for the trust. Colour – Light honey, straw gold with shimmering highlights. Nose – Soft, elegant & refined. Delicate aromas of crushed apple, pear and fresh pineapple arouse the senses. The spirit is exciting and vibrant with attractive notes of oak shavings that release hints of buttery vanilla, creamy caramel and nutmeg. A whisper of marmalade, cinnamon and even a tease of smoke, ginger and muscovado sugar completes this spectrum of delight. Taste – With a generous strength of 47.3% this gives the spirit plenty of impact on the palate but in a mild warming manner. Harmonious and exhilarating. Whispers of gentle bonfire smoke slowly give way to spicy rich toffee, treacle and pecan nuts. These enticing flavours linger lovingly on the palate but are soon combined by a sensual, complex array of creme brulee, orange rind and freshly baked bread. It is a remarkable tapestry of tantalising taste sensations which truly rewards the palate. “The Shackleton whisky is not what I expected at all, and not what anyone would have expected. It’s so light, so fresh, so delicate and still in one piece – it’s a gorgeous whisky. 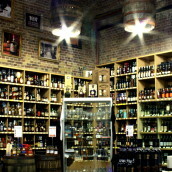 “It proves that even way back then so much care, attention and thought went into whisky-making. “I think the replication is absolutely bang on. Richard has done a great job as it’s a very tricky whisky to replicate, because you have this delicacy, subtlety and the smoke just coming through. So there you have it. Hopefully Whyte & Mackay will not use this as a one-off cash cow and will do their duty to a historic brand by upgrading the more humble ongoing version of Mackinlay’s and expanding distribution (as far as I can see it’s currently only available for a handful of overseas markets) after this initial run sells out. I’ve just asked Richard and the whisky is as natural as can be from back then, so there’s no chill-filtering or colouring added. 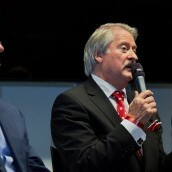 Great blog Tim – really enjoyed it! Sums it all up nicely and I like the fact someone, namely you Tim, added some pictured of the original expedition and their hut to the whisky news. The more I watch photo,the more I’m addicted!Woh! 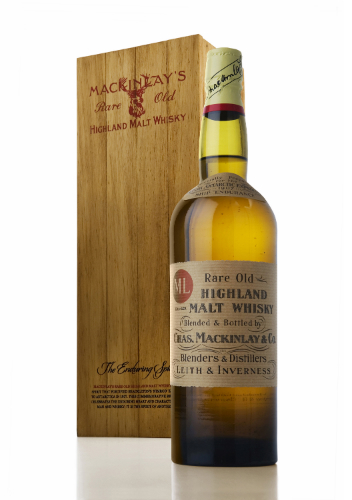 !When,How can I get The new Mackinlay’s replica!! I’m ambitious for watching,touching,smelling and tasting! !I have little informations,becouse of in JAPAN.When,How can I get it? ?Somebody,please let me know. Thank you for your answer.OK,I’ll wait as a good boy. Wow! I better move quick to get my hands on one, only 50,000 you say? The replica-bottling was released for sale in Sweden, by this very september 1st, by a bottle-price of roughly eq. to 110-115 GBP. In a stroke of unpresidented luck, I managed to get my hands on 2 bottles of this replica-bottling. Having now opened and tasted 1, I can say that, it was indeed a very enjoyable taste-experience. Very soft and lowkeye for its 47,3 ABV-strength. Or perhaps elegant and sofisticated would suit better as a description of its taste-sensation? It does not have the “tongue-bite” as many others have, even if enjoyed without water / “neat”. Very smooth and pleasent even neat, allthough a very careful adding of water is what I personally would recommend, to let it open up in full. But do note, water this one Very carefully! In mouth, this whisky is elegant and sofisticatedly soft-voiced, in its expression of flavours. I could, among other things, find a slight touch of the crownleafs of wild rosebush-roses, both in nose and mouth (when watered). That not in the front room of the tastes expressed in this one. Yet, it was there, but in a more softspoken way than compared to other few whiskys also having it. 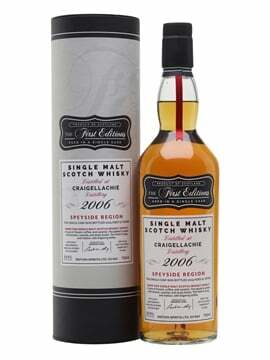 Not entirely unlike some single-cask bottling I have tried from the Cardhu-distillery…. Allthough the wild roses is not the taste most in front row of this whiskys flavours, it is yet one I personally tend to react to, as it brings back fond childhood memories for me. (A lot of wild rosebushes where I grew up during happy early childhood years). 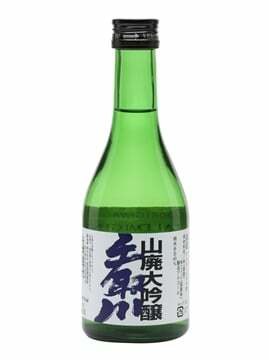 Its body-sensation in mouth, when tasted “neat”, to some extent resembles some Inchgower-bottlings, as it does hold a slight oiliness when “neat”. Also this, is something I do find being to this specific bottlings advantage, compared to other bottlings. Allthough not a personal favourite, it is however yet a very good whisky indeed. So as of this early in my relationship with this bottling, it is perhaps a 88-pointer? Not above 90, but most certainly not below 87. I do feel a need to taste it a few more times, in order to be able to give it a more accurate and final personal point-grading… An interresting, and somewhat “different” whisky, this is. But in a positive way I wish to add. Have purchased Shackleton in past. Having issues now. Need more for Old Antarctic Explorers Association meeting in Nov. 14. Not a comment on the whisky, but the alleged advertisement mentioned at the top of the page (which was almost certainly fake, featuring as it did American spelling) refers to the later “Imperial Trans-Antarctic Expedition”, otherwise known as the “Endurance” expedition of 1914-1916. 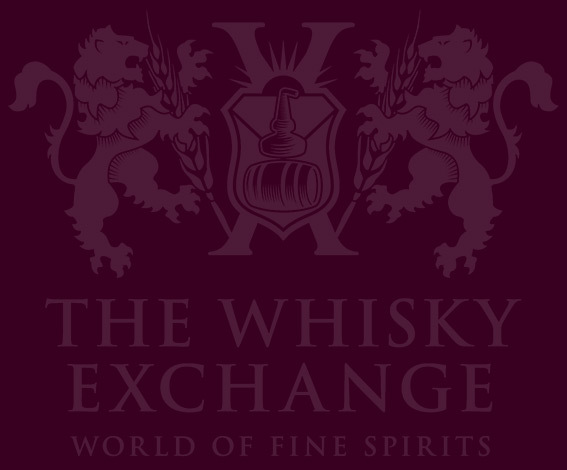 As for the whisky, W&M have recently introduced a new, less expensive brand of “Shackleton”, reviewed elsewhere on The Whisky Exchange site.